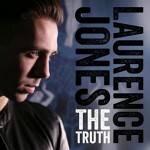 Share the post "Album review: LAURENCE JONES – The Truth"
‘The Truth’ is Laurence Jones’s fifth album and it finds him taking a brave leap of faith into commercial waters with the emphasis firmly on songs. It’s an album that finds him diversifying his blues base while embracing a pop-rock approach, that only marginally fails to achieve its lofty goals of self realization through a crossover album. He’s a musical sponge who is eager to learn and push forward into different directions. And to that end, he works hard to present a crossover pop-rock album with vocals that just about carry the songs, though he doesn’t always have the range or phrasing to make the kind of emotional connection that he seeks. If he’s aiming for a John Mayer style musical crossover – shifting from blues into pop rock and soul – then he will have noted the latter’s vocal elasticity and ability to effortlessly shift from soul and funky styles to a more gritty blues delivery and back again. Laurence has a pleasing mid-range voice, but he doesn’t quite have the ability to stretch it in the directions that this album sometimes demands. His producer Gregory Elias obviously recognises this, as he piles on the harmonies on the hook of ‘Don’t You Let Me Go.’ It’s a relationship song that builds up to a pop-rock chorus and is counterweighted by a dirt sounding guitar solo. There’s also some clever ‘call and response’ parts on ‘Give Me Your Time’, a would be Michael Jackson/Quincy Jones production on which Laurence vocals don’t quite cut through, while the resolving guitar solo is mixed too far back. That said, there is a strong upside, most notably Laurence’s songwriting ability. He’s particularly good at digging deep for grooves, as evidenced by the excellent opener ‘What Would You Do’, which he showcases his writing, vocal and guitar abilities. The title track is another groove and is a sister track to the opening cut. It settles on a mid-tempo arrangement that nicely underscores the emotion of the song. These three songs epitomise Jones’s new musical direction, while ‘Can’t Go On Without You’ is equally good, being a cool slice of contemporary blues with a mid-80′s Robert Cray influenced commercial appeal. It’s the perfect balance of Laurence abilities with a nuanced production, with only a perfunctory ending robbing us of an extended hypnotic hook. ‘The Truth’ is book-ended by ‘Never Good Enough’, an aspirational, but similarly mid-paced outing that might have benefited by from being included earlier in the track listing. As with all good songwriters, he’s unafraid to open up his feelings and transpose them into telling musical arrangements. This entry was posted in ALBUM REVIEWS, ALBUM REVIEWS (Mobile), All Posts and tagged album, blues, funk, Gregory Elias, John Mayer, Laurence Jones, Michael Jackson, pop, Quincy Jones, review, Robert Cray, rock, The Truth. Bookmark the permalink.